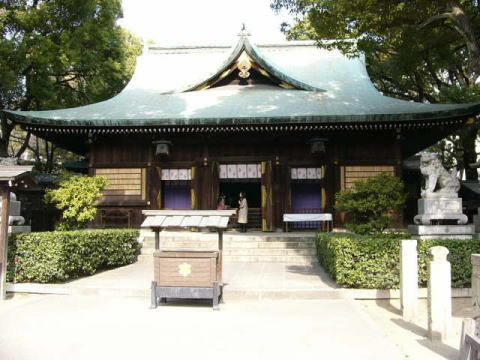 Wakamiya Hachiman Shrine was established in Nagoya-no-sho-Imaichiba in the Taiho era (701-704). In 1533, all the shrine buildings were burned down in battle between Imagawa and Oda troops. In 1539, Oda Nobuhide (Oda Nobunaga's father) rebuilt them. In 1585, Toyotomi Hideyoshi repaired. In 1610, they were moved to the present place when Tokugawa Ieyasu built the Nagoya Castle. In March, 1945, shrines were burned down in the World War II. In May, 1957, main shrine was rebuilt.